Home / Group Discussion Topics / lecturette / Smartphones Addiction - Latest trend or Harmful device ? Everything, which have something good for you, it also have something bad in return. Sameways smartphone is a most essential part of our daily life today as it can be your daily routine, newspaper, TV, camera, almost everything that we can have in this era. But these are good things, so what are the bad things?? 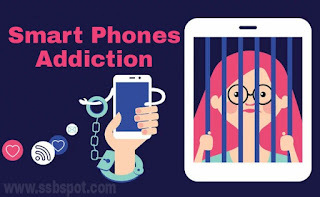 The biggest disadvantage of having a smartphone is that you forget your own life, you begin to think that this gadget is your A to Z in your life. Life at ease : A hand held smart device is convenient to use. Now a days smartphones and tablets help in making work more easier than earlier where lots of individual efforts were required. It is helpful in connecting people easily through phone calls, video call, received, messenger etc. Connectivity : Mobile Phones as well as internet both have become a prime source of connectivity today. People chat on social networking sites like: Facebook, Twitter, G-Talk and WhatsApp, We chat and Hike messenger have become a trademark of today’s youth. Ocean of Information : Smartphones have much utilities which are helpful for educational gain. Students can save their time as they can use internet as their guide to education. 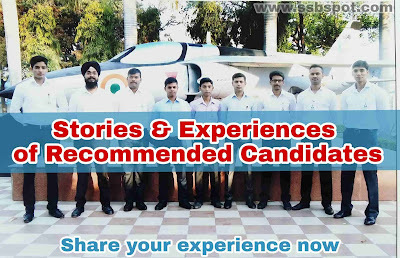 They can learn many innovative substance if they are genuinely interested. Many websites and video class are available in internet which can be beneficial for them. Online activities : play very important role in modern trend. Business, shopping, banking, etc. can be done online which provides the users with wide range of choice at competitively reasonable price. Lots to time is saved which can be utilised for other important works. Convenient for work : Businessmen find it more convenient for work. Smartphones and tablets are now a substitute of laptops which is indeed not that handy to be carried everywhere compared to tablets. They make work easy and interesting to do. It makes children active : Children these days are aware of various innovative things by the use of only a single medium. Moreover they can also use it for entertainment- playing games, surfing net, music, videos etc. Brain disorder : Too much addiction to internet may bring 'netbrain' disorder. It is caused due to overuse of internet and may result to narcissism, distraction and fear of missing out on things. Smartphone users get affected three times more likely to this disease. 11% of the British adults are suffering from this disease. Absence of Physical fitness : According to research those who are suffering from 'homophobia' are more likely to be found gambling online, socialising on social networks, listening to music and playing video games. Playing online games and surfing social websites have become common among youths now a days and they miss out on physical sporting activities. Kids who are addicted to technology rarely have any time to spare on outdoor sports which can be a great damage to their health. Limitation of thoughts: Since every bit of information is already available on the internet people have put strict limitations to their thought process and rely heavily on the artificial source of information. The innovative thinking, the intellect level has seen a ceasefire in many young and dynamic people. 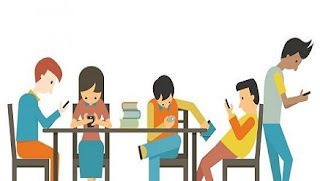 Misuse of smartphones : Student's life which is meant for studying, is affected because of misuse of smartphones. The time which should be utilised for studying is being distracted by the use of smartphones. The present technology is deteriorating county's future to some extent where parents are not careful about the amount of time children donate with smartphones. Creation of an artificial world within a real one: A hypothetical world has been created in which people remain reserved, aloof and isolated in their own restricted periphery with their smart phones and their apps. They rarely connect to the real world as they rarely get the time to do so. Toxic phthalates are found on iPhone cables and which require warning labels on products exposing consumers to phthalates. This lead to violation of 'Right to be informed' under Consumer Protection Act. Thus consumers should be warned of its dangerous containments. Hazardous for health : Staying connected to smartphones is hazardous for health. Repetitive use of phones for texting and gaming may cause soreness in wrist and thumb, can put hand and fingers in risk of injury, neck aches and other symptoms. Micro tears or soreness can heal with time but problem regarding posture and neck aches can increase the pressure on the discs that cushions the bone of neck.